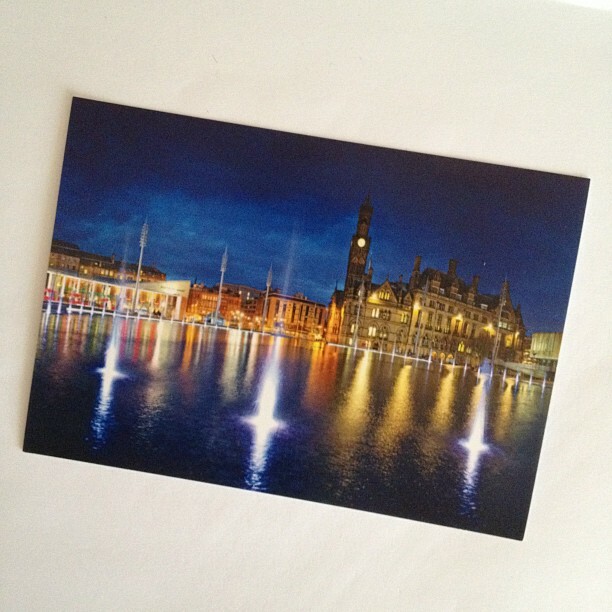 I got an e-mail from a swap-bot group about a postcard swap for the date 12.12.12. 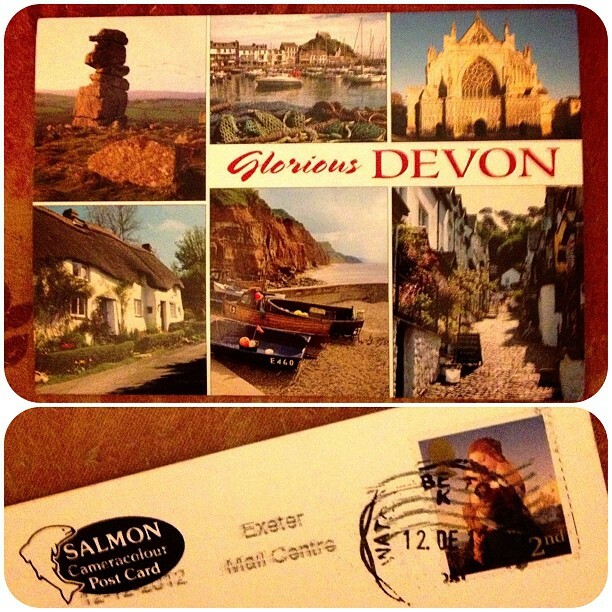 The idea was that you posted your postcard on that date in order to get a piece of history with such a unique postmark. I thought what a fun and easy swap idea so I had to take part but I have to admit I almost forgot as swap partners were posted so long ago. Also though I had planned on a hand made card but with not feeling all that great lately I couldn't bring myself to do it so I also sent one of Bradford.